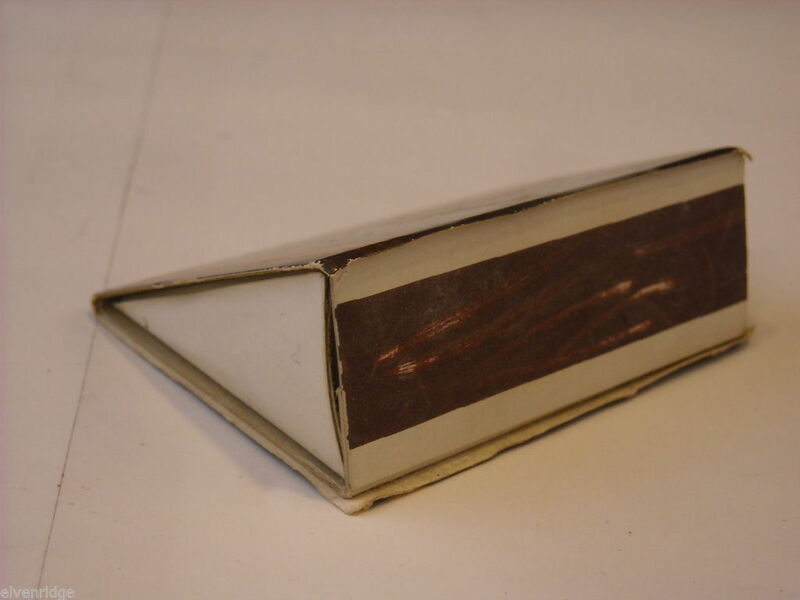 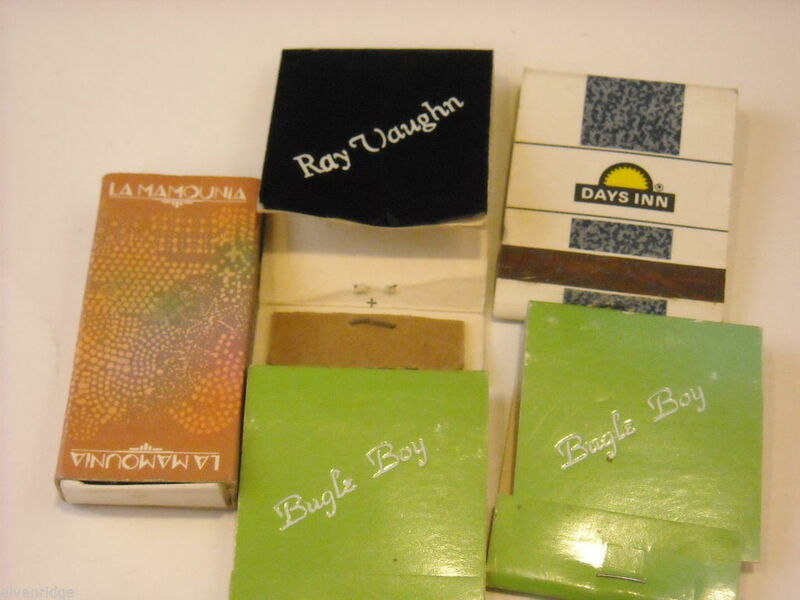 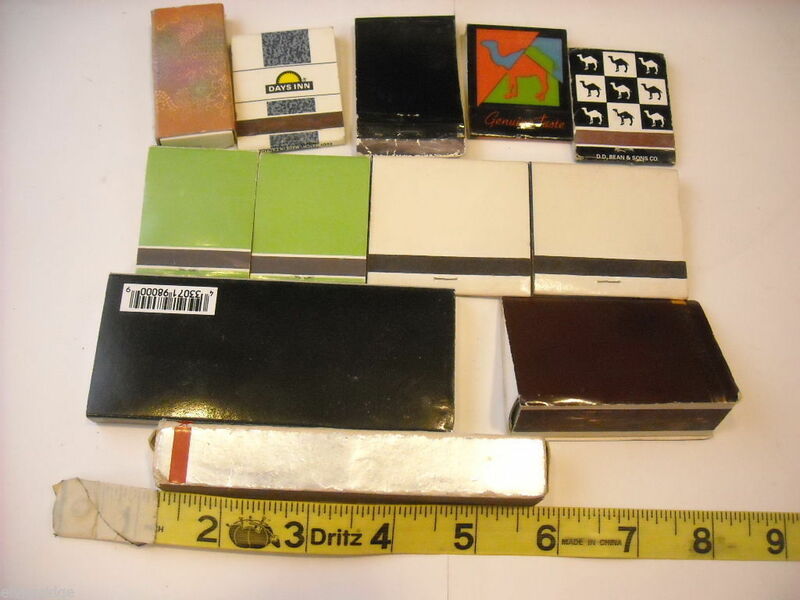 Here is a collection of match boxes and books - some with unusual design and shapes. 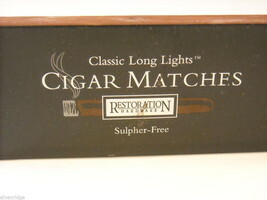 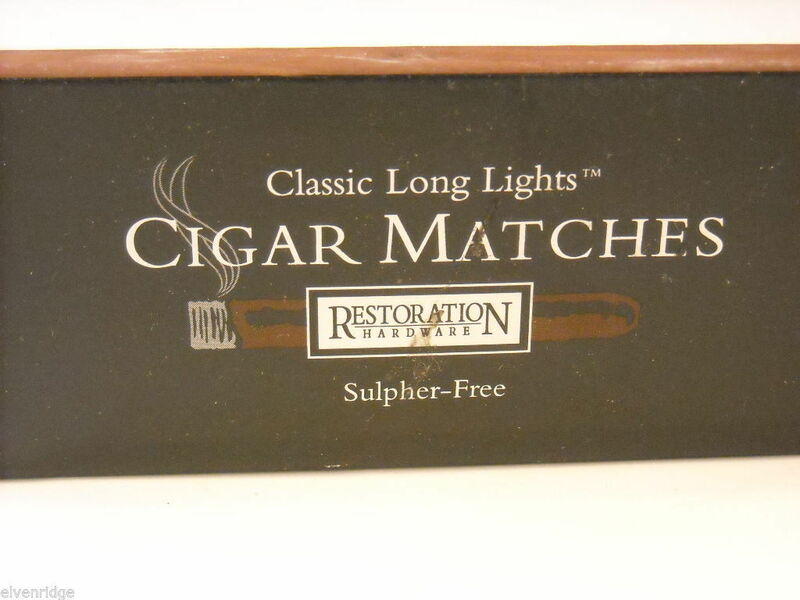 Large cigar matches by Restoration Hardware. 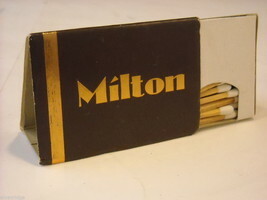 1 Milton - triangular free standing box. 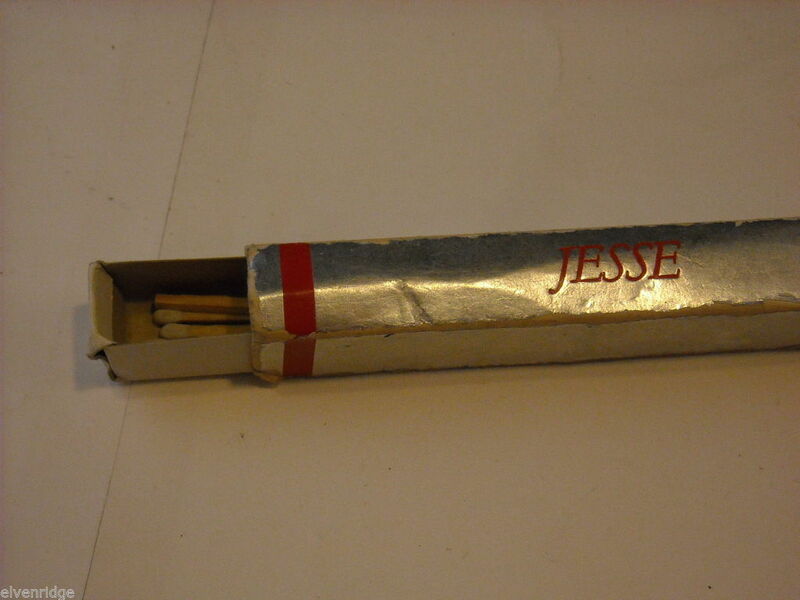 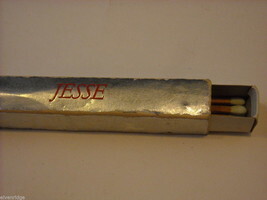 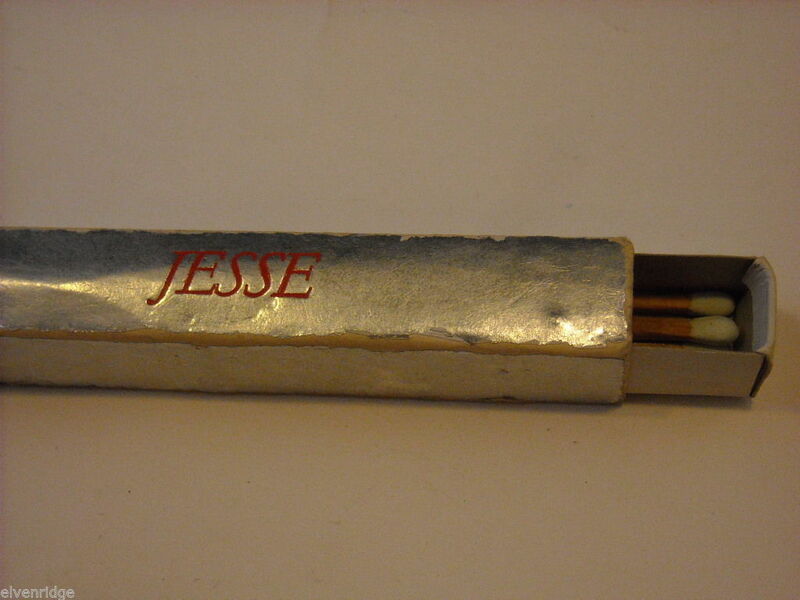 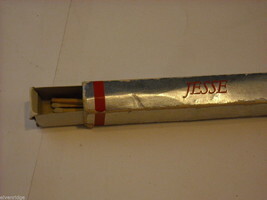 1 Jessie - long box with 2 compartments. 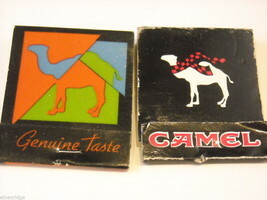 2 Camel match books - vintage! 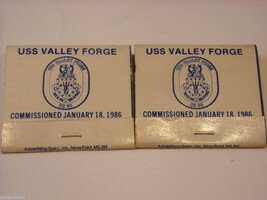 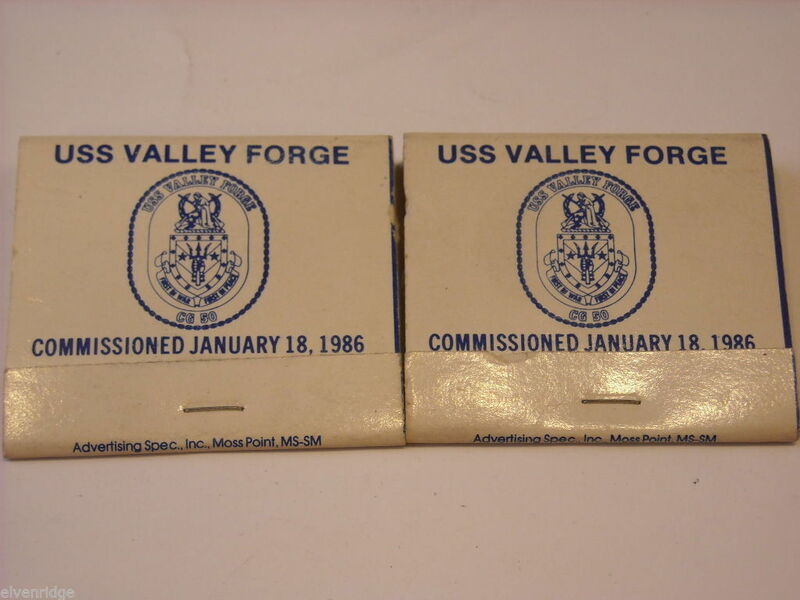 2 USS Valley Forge matchbooks from 1986. 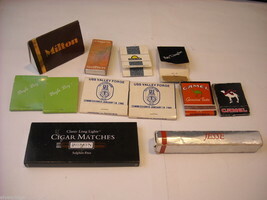 Other various as shown. 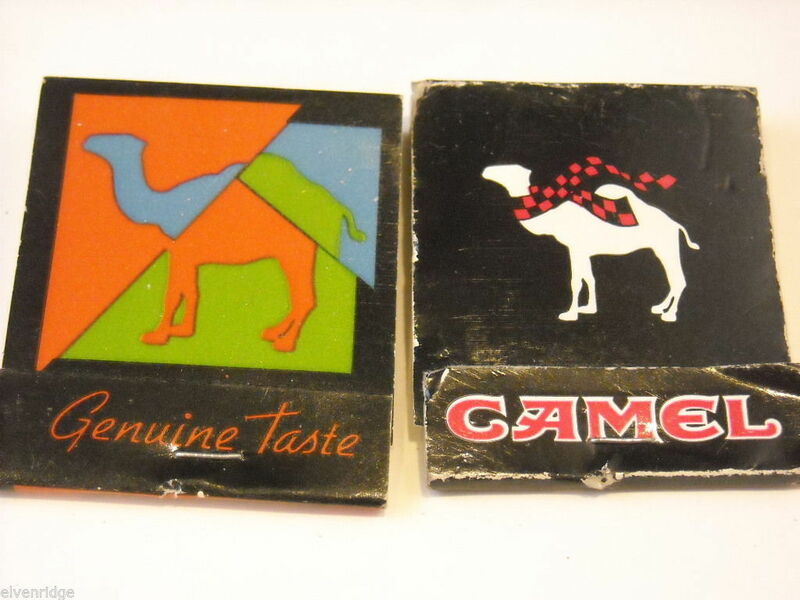 Show some wear. 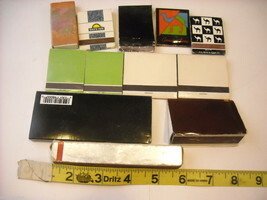 Range of sizes from 4 3/8 x 1 3/4 x 3/8 inches to 2 x 1.5 x 1/4 inches. See photo with tape measure for reference.